This week on PopMatters, I write about the Olympics. Of course, I spend most of the time comparing it to Spelunky, as my obsession with that game is still going strong. I like watching all kinds of sports, but the Olympics are particularly fascinatiig. The pressure to execute is huge: they only happen once every four years, so even the most talented athletes age only get a handful of tries (if they are lucky). On top of that, many of the events are structured such that even the best players can be knocked out of competition by a single mistake. 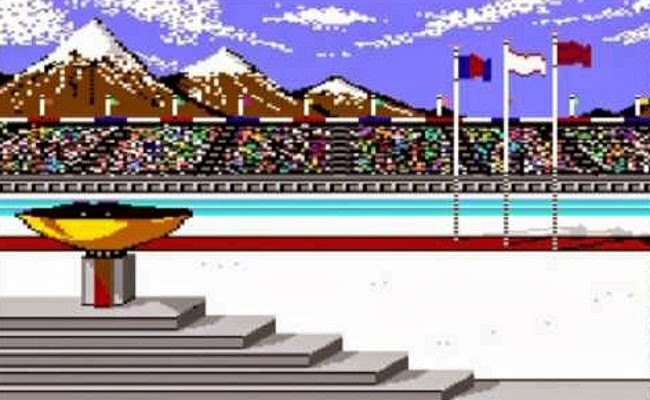 Clip the side of a wall in the luge or make a bad jump on the ice and your potential to win plummets. It's also mentally taxing. Many of the sports are solo, which means the audience is doing nothing but watching you. The only variables are your ability to execute on your technique and capacity to remain calm under pressure. So often winning is a function of not inadvertently beating yourself. These dynamics make for extremely exciting games and are a huge reason I love consequence-heavy games like Spelunky. The rules are easy to grasp and internalize, but the pressure to execute within them is massive. Even the most experienced players fall victim to carelessness or flat out mistakes. It's easy to get invested in games like these because the choices carry weight. Whether you're playing or watching, you know that any moment can be the key to an amazing victory or a tragic loss.